Karen and I had a great time at the festival. 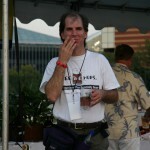 The festival was moved to the river front which greatly improved the festival. 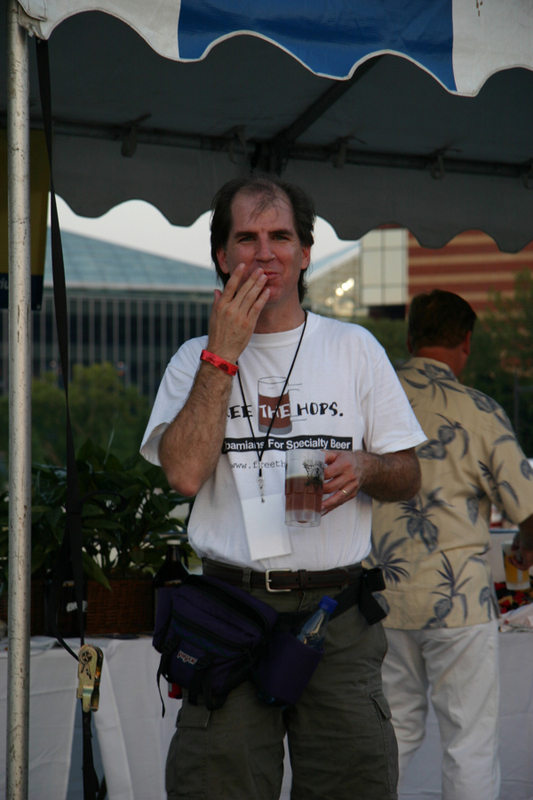 In past years, the festival was held in a black asphalt parking lot which was unbelievable hot. This year the festival added another type of ticket called the VIP Pass. The VIP pass provided free food and beer. 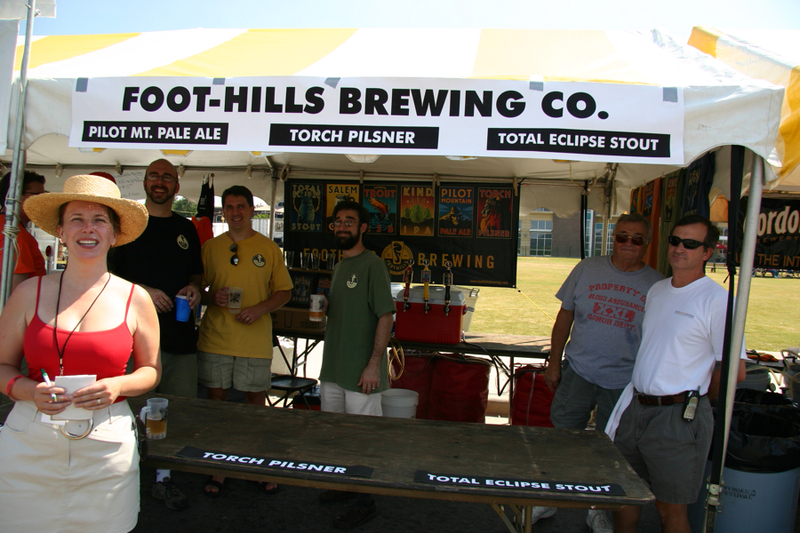 Holders of the VIP pass were also provide access to the brewers areas. The number of brewers ended up being 24 with many being new or reopened breweries. 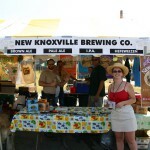 The New Knoxville Brewing Company pictured here was our first beers to try. Karen had their Hefeweizen while I had the Pale Ale. We eventually tried all of them and especially enjoyed the English Brown Ale. The next morning as we were packing our car, Brian and rest of the crew from the New Knoxville Brewing Company stopped to talk and gave us two six packs. Great! 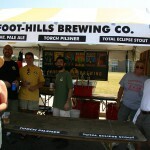 The Foot-Hills Brewing Co. was another great group of guys. They cut us a break on the price of their shirts after they heard I collected them. The shirt each featured a different beer and color. Some of the guys where wearing the shirt in the booth on the left in this picture. The Brewers area was great. Big River Grille & Brewing catered the area with ribs, hamburgers, Jalapeño Spinach Cheese Dip with Chips, and draft beer of course. You can see by my picture it was great food. 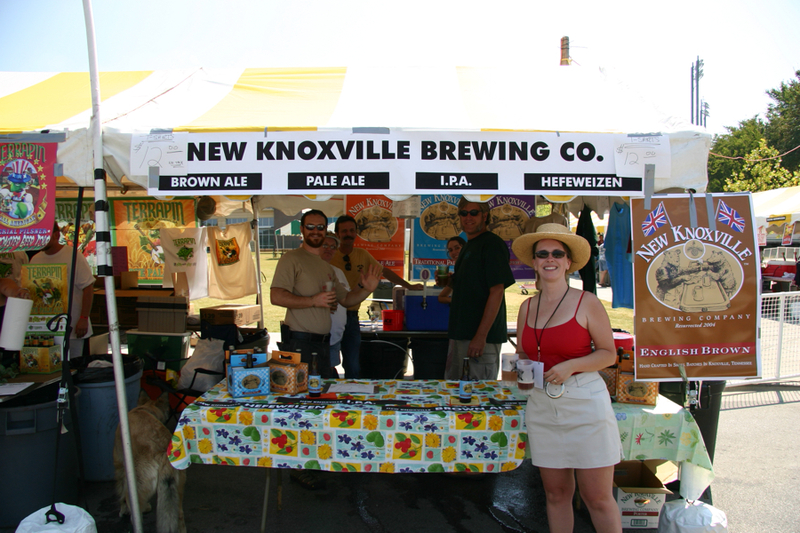 Some of high lights of the beers are Sweetwater’s Blue, Asheville Brewing Company’s Houdini ESP, Carolina Beer & Beverage’s Pumpkin Ale, Foot-Hills Brewing Company’s Total Eclipse Stout, New Knoxville Brewing Company’s English Brown Ale, and A1A Ale Work’s Orange Blossom Honey Ale. These beers were some of the best at the festival. Some of low points in the beers are Zuma Brewing Company’s Cancun Lager and New Knoxville Brewing Company’s Hefeweizen.